Put simply, the answer is”yes.” When I first became a pastor I was given conflicting advice about this issue, but after a few years in the parish the answer became clear. Moreover after 15 years of service to the church at large and directing capital campaigns for churches of all denominations that answer has remained crystal clear, especially if you take the following five points into consideration. The vast majority of your members already assume that you know. Unless you have specifically said or written otherwise, the majority of your members already assume that you have access to the same kinds of information common to the leader of any organization, including financials. There’s a difference between confidentiality and secrecy. 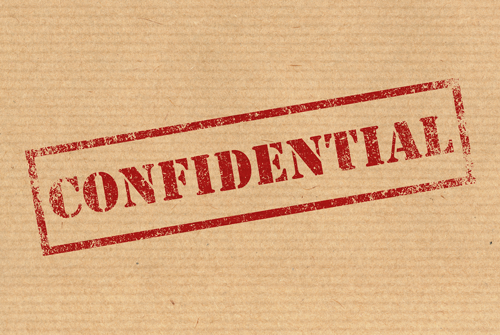 Confidentiality is good and proper. It assures that information is shared with those who need to know. But secrecy is dysfunctional. Those who may complain about the pastor knowing what people give are probably prone to secrecy, not confidentiality. They wish to protect an image they have carefully constructed which is, mostly likely, not in concert with their level of stewardship. Financial stewardship is a window into an individual’s spiritual life. A significant change in a donor’s giving level almost always corresponds with a change in circumstances, spiritual commitment, or commitment to the church as an institution. It’s not random. The pastor needs to know about all three if he is to attend to individual needs and the needs of the church. But knowing what my members give will cause me to treat them differently. This is the most common reason I’ve heard from pastors but it begs a question. If money will cause you to treat some people differently, why won’t anything else? Pastors are privy to all sorts of personal sins and private challenges from divorce and affairs, to sexual perversions, to drug addictions, to outright criminal behavior. Quite honestly, if money causes a pastor to treat members differently, then so will a lot of other issues which means they shouldn’t be in a position of spiritual trust in the first place. Examine your own level of generosity. Some pastors who struggle with this issue are really struggling with their own level of financial stewardship. Not knowing what their members gave became a crutch to avoid their own disappointing level of generosity. There is nothing in the Scripture that prohibits such knowledge. In fact one could argue the opposite given Paul’s remarks in 2 Corinthians 8:6-8. Yes, a pastor should be aware of what members are giving. They shouldn’t be avoiding it. At the same time they should ensure the confidentiality of that information as well as making sure that they treat financial stewardship with the same respect and seriousness they give to other areas of spiritual life.